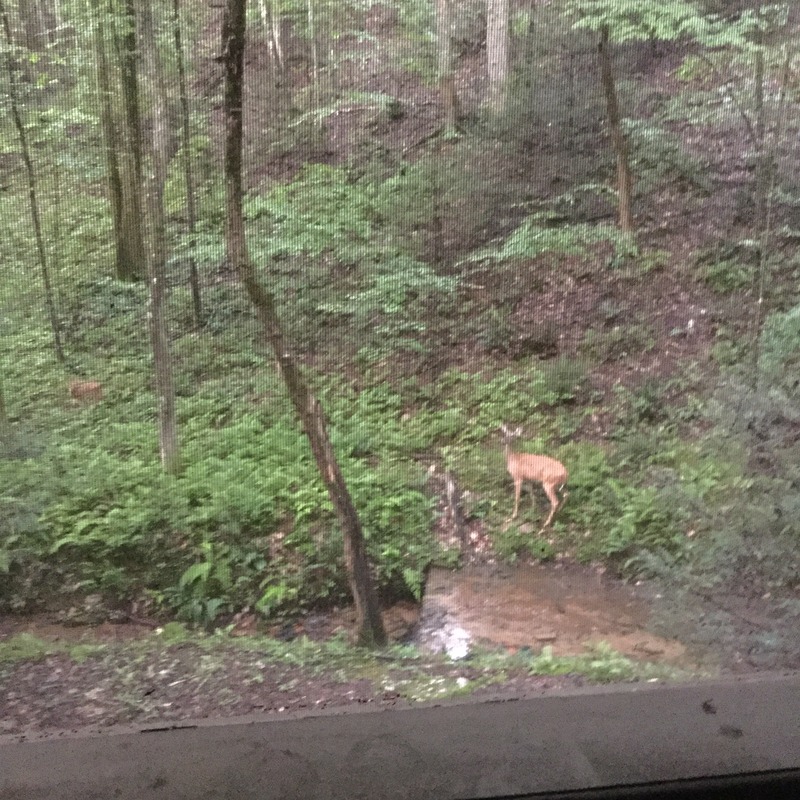 This morning after making my coffee, I was greeted by a doe and her two fawns outside our cabin. She was leading them to the stream at our front door for some water. Life is good in the mountains.